Canterbury appears to have been well supplied with springs, a factor which may have lead to its adoption as a settlement from prehistoric times. This, together with Canterbury’s considerable importance as a pilgrim goal through the middle ages, has also not surprisingly resulted in a number of noted culted and religious watering holes. Indeed St. Thomas’s Shrine was associated with a healing spring. At the height of the Canterbury pilgrims, St. Thomas’s Well would have been the most famous well in the county, if not the country. Every pilgrim would take its water, believed to be of a highly curative nature, and it became an important part of the pilgrimage. Despite this, it is surprisingly now little known and the well itself has been lost. 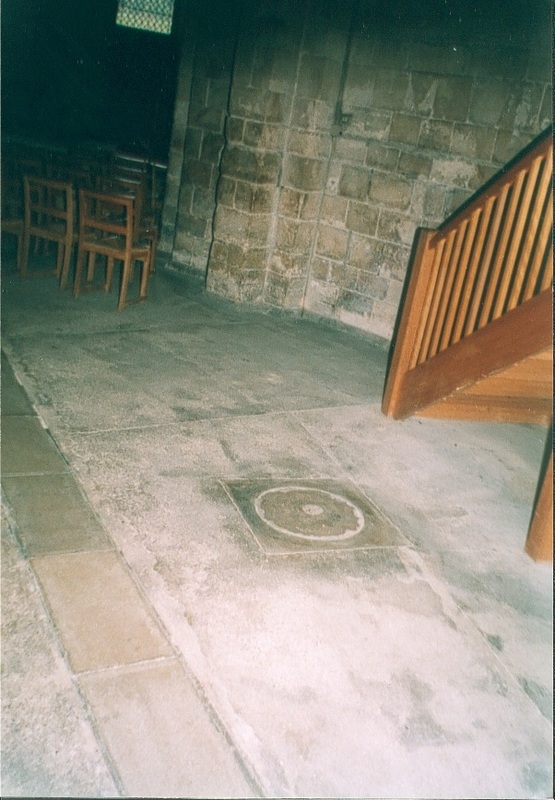 Although authorities place it in the choir of the cathedral, a site to the left hand of the original shrine site in the crypt is identified. This being a circular stone set into the crypt floor. Even before his martyrdom, Thomas had already attracted a considerable following, and this well, which he drank from daily, had already gained special notice. After his death, it became even more famed. Indeed, one of his first miracles is by some accounts associated with this water. It involved a man, who upon dipping his shirt in the saint’s blood and rinsed it into its water, he gave this to his wife who was cured of her paralysis. Naturally, such miracles were treated as suspiciously during the dark days of the Reformation, and in 1538 Lord Cromwell, doubting their authority, had pilgrimages stopped. The Kings Commission destroyed Beckett’s Shrine, and the well was consequently lost. In the town there is another site associated with Beckett’s murder, called the Red Pump. This is said to be painted red as a memorial to the saint’s death. When this legend begun, and why it should be so connected is not clear. Yet, its connection with a Roman milestone suggests some antiquity for the site. Records note a number of named springs which carry religious names, although few exist in any form or their history fully documented. One of these sites is a St. Edburga’s Well, noted by Urry as Eadburgawelle, and mentioned in a grant to St. Augustine’s Abbey in the Ninth century. Its site is now lost, and even its exact location unclear. Other sites mentioned are a St. Peter’s Well which is noted on a map drawn by Somner ( 1703 ) although he does not refer to the name in his text. 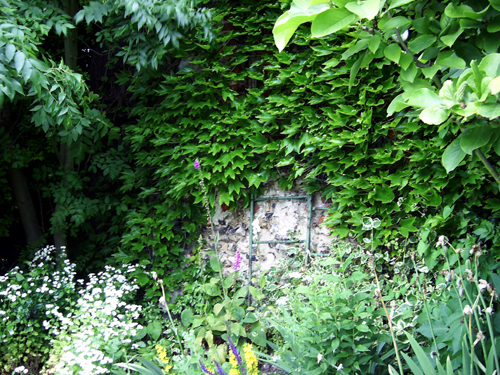 There was also a Sunwin’s Well, which according to Urry was named after Sunwin the Smith and lay in the alley from the Cathedral to the Buttermarket. Other medieval wells were Hottewelle and Queningate Well. The former is interesting and suggests it may have been a thermal spring. This is particularly significant as I am unaware of any such sites in the county, and so the site may record such a rarity. ( Was it used by the Romans? ). Records show that a Gilbert the Priest lived close by to this site. The later. Queningate Well was, known also known as Fons de Cueningate, and may again have been known to Romans as it is associated with a Roman gateway. Hence regrettably nothing remains of the site to record what appears to have been an historically fascinating site. This conduit is now enclosed in St. Martin’s Heights Housing Estate. Little archaeologically speaking was known of the site before its slabbed roof collapsed in the 1980s. Previously, it has been only marked by a slight earth mound with a concrete slab. Consequently, this collapse revealed much that was unknown of this structure and this prompted English Heritage to undertake a better study. 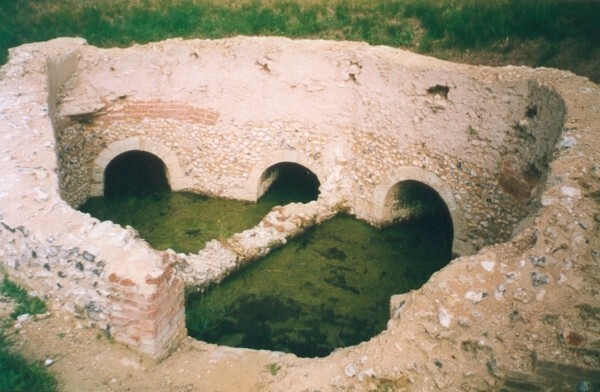 The concrete slab was opened up to reveal a series of steps leading down into the structure, a ‘dark watery chamber which in recent times children had filled with a variety of domestic rubbish.’ The conduit was shown to be a six sided structure, the chamber within is divided into two sections with three Romanesque arches through which green sluggish water flows. Experts suggest that there was a floor above chamber and the structure was covered by a tiled conical roof. It is likely that this conduit is twelfth century. Around the conduit there is evidence of a large man made pond, which may have predated the conduit in function, but this is unsubstantiated. The structure has now been sensitively restored and can be visited. The water supply of the St. Martins is well covered in an article by Jenkins ( 1980 ) in Trouble Waters ( The Parish of St. Martin and St. Paul, Canterbury Friends of St. Martin ) which mentions the conduits constructed for supplying the city. The springs feeding the conduit house are part of a complex of aquifers issuing from the step natural hillside across the eastern side of the city in the St. Martin and Old Park area, such as that at Horsefold. Such springs, as Hasted ( 1797-1801 ) mentions, also fed a conduit in Christ Church priory, and all across the city. The exact supply of the Christ Church Priory was probably that of the large reed pond in the grounds of Old Park, but no ecclesiastical, religious, or specific name is recorded. From this source, the Norman Christ Church community had a very sophisticated water system drawing their water from which was the foundation for further improvements. The most remarkable survival of this system is the conduit or water tower, a product of Prior Wilbert‘s scheme. This is equally remarkable as the plans still exist! They show that from the source the water travelled through two and a half inch diameter pipes ( such that would maintain a suitable pressure ) to feed the water tower and lavers ( fountains for the monks ). The full plans and discussion of the water system can be read in an article by Willis ( 1889 ) The Conventional Buildings of the Monastery of Christ church in Canterbury. The springs may indeed have originally been exploited by the Romans to supply baths such as that of St. Radegund. Clearly Canterbury’s ancient water heritage is a fascinating one showing how its abundant supply has been utilised over the medieval centuries. For anyone interested in ancient water supplies it is an interesting city.